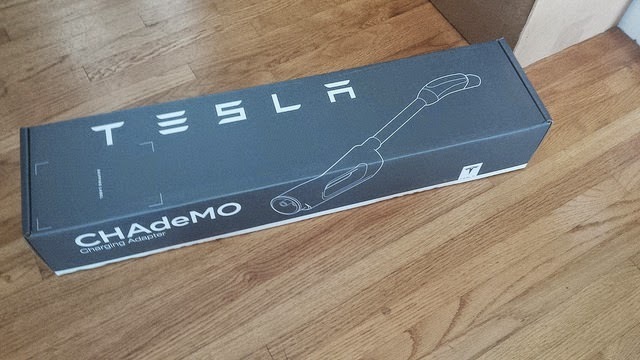 Tesla CHAdeMO Adaptor Is Here! Tesla has been selling their CHAdeMO adaptor in Japan since mid-2013. In the U.S., they started accepting preorders (by invitation only) in December 2013. The preorders started shipping in January 2014. However, you were still not able to order them from the Model S accessories page. January came and went, February did the same, March arrived and the first day of spring blossomed and still the CHAdeMO adaptor was not available in the Tesla online shop. "Coming Soon" replaced with "Add To Cart"! Today, that has changed! 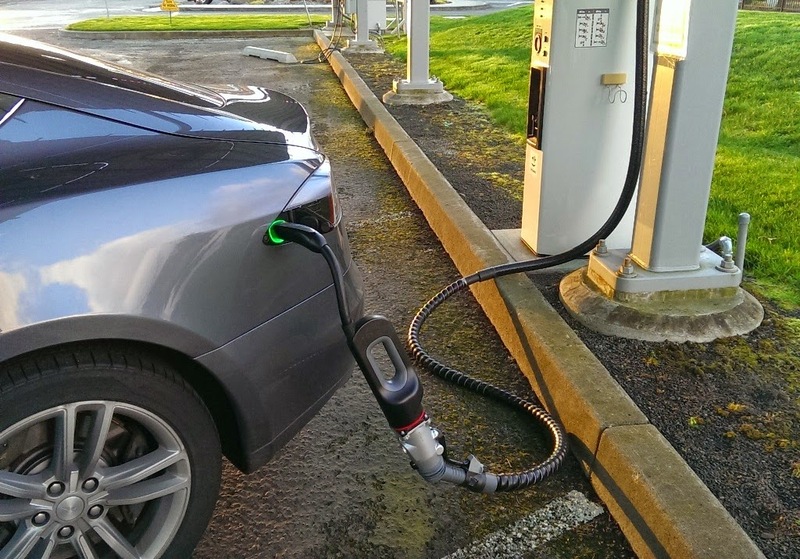 The CHAdeMO adaptor is finally available for general purchase. The "coming soon" label (which has been there for over a year) is finally gone. 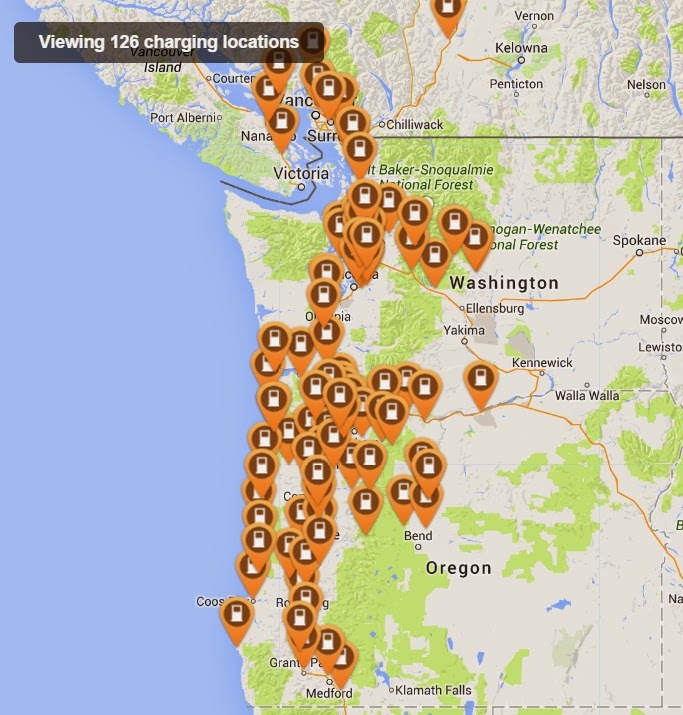 It is important to note that CHAdeMO stations are not as fast as Tesla Supercharger stations. Superchargers are ~120kW today, where as CHAdeMO stations are 25 to 50kW. So you can expect to "only" to get about 140 miles of range per hour while at a CHAdeMO station. This rate means that a typical lunch break will get you enough to get you to a local destination or the next charging station. Recently Elon Musk said that 200 miles of range was the minimum for a "passing grade" for electric vehicles. As you can image, many of the people that are driving the ~100 mile range EVs that are on the road today didn't agree with him. You can read story after story about the number of miles they've driven, the treks they've taken. I've written similar stories here about how useful EVs are. They further add that the charging infrastructure is growing and this makes EVs even more useful. I started driving an EV in 2007. It only had a 40 mile range. This was my daily driver. As the batteries aged, the range slowly decreased. When I sold it in 2011, it only had a range of 25 miles. Yet, even with this short 25 mile range, nearly all of my daily driving was carried out in this EV. After getting by with just 25 miles of range and proving that it can meet most of my driving needs, you might be surprised to hear that I agree with Elon Musk. 200 miles is minimum required. But required for what? For my daily needs? No. 200 miles is what is needed for EVs to cross from a niche to a mass market product. A 40-mile EV worked for me, because I (like most of you reading this) fell onto the left side of the technology adoption curve. I was willing to make changes to my life to make an EV fit. When I started driving a Nissan Leaf with 73 miles of range in 2011, the number of compromises needed dropped significantly. I didn't have to charge everywhere I went. I didn't need to carry 8 different dryer outlet adapters. Sub-100 mile range EVs are very useful, but they alone, would never never be able to have mass market appeal. If EVs are going to jump the chasm, they need fewer compromises. Today, that means they more range at an affordable price.